Below you fill find all funeral homes and cemeteries in or near Jenison. Suburbs of Jenison: Georgetown Township, Georgetown Tp, Georgetown TWP. Jenison is also known as: Ottawa County / Jenison CDP. Their current mayor is Mayor Dale Mohr. Zip codes in the city: 49428, 49429. Some of the notable people born here have been: Andy Ponstein (race car driver). 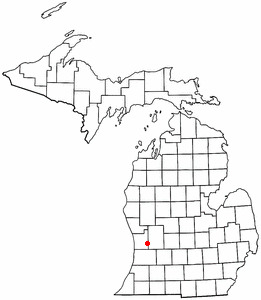 Jenison is an unincorporated community in Ottawa County in the U.S. state of Michigan. It is a census-designated place (CDP) for statistical purposes, but has no legal status as an incorporated municipality. The community is governed by Georgetown Charter Township. The population of the CDP was 17,211 as of the 2000 census. The current estimated population for the entire Jenison ZIP code, 49428, is 25,770. The geographical boundaries of the ZIP code are larger than that of the CDP. It was revealed by Kalamazoo Gazette on March 17th, 2019 that Robert F Bowman perished in Jenison, Michigan. Bowman was 92 years old. Send flowers to share your condolences and honor Robert F's life. It was reported by Kalamazoo Gazette on December 8th, 2017 that Bruce E Holland died in Jenison, Michigan. Holland was 75 years old. Send flowers to express your sympathy and honor Bruce E's life. It was revealed on December 6th, 2017 that Joanne Vanbaren (Devries) perished in Jenison, Michigan. Send flowers to express your sorrow and honor Joanne's life. It was reported on December 2nd, 2017 that Mardell M Feinholz (Turnquist) passed on in Jenison, Michigan. Send flowers to express your sorrow and honor Mardell M's life. It was disclosed on February 23rd, 2017 that David Warren "Dave" Hofstra passed on in Jenison, Michigan. Hofstra was 79 years old. Send flowers to share your condolences and honor David Warren "Dave"'s life. It was revealed by Flint Journal on May 11th, 2016 that Helen A Butcher (Klasa) passed away in Jenison, Michigan. Ms. Butcher was 84 years old. Send flowers to share your condolences and honor Helen A's life. It was noted by Kalamazoo Gazette on June 2nd, 2015 that M Doris Vanderbroek (Miller) passed away in Jenison, Michigan. Ms. Vanderbroek was 87 years old. Send flowers to express your sympathy and honor M Doris's life. It was revealed by Canton Observer on September 5th, 2013 that Joan Frances Healy (Browell) passed on in Jenison, Michigan. Ms. Healy was 91 years old and was born in Lansdowne, PA. Send flowers to express your sympathy and honor Joan Frances's life. It was reported on August 21st, 2012 that Beatrice Vandam (Postmus) perished in Jenison, Michigan. Ms. Vandam was 83 years old. Send flowers to share your condolences and honor Beatrice's life. It was written on August 21st, 2012 that Beatrice Vandam (Postmus) died in Jenison, Michigan. Ms. Vandam was 83 years old. Send flowers to express your sympathy and honor Beatrice's life. It is a census-designated place (CDP) for statistical purposes, but has no legal status as an incorporated municipality. The community is located within Georgetown Township, Michigan Charter Township which serves as its governing municipality. Jenison is an unincorporated community in Ottawa County, Michigan County in the US state of Michigan. The population was 17,211 at the United States Census, 2000 census. . Listing all funeral homes in Jenison, Michigan so you can easily send flowers to any location (same day delivery) or find any funeral service. We work with local florists and flower shops to offer same day delivery. You will find budget sympathy flowers in Jenison here. Our funeral flowers are cheap in price but not in value.